Business Etiquette and cultural boundaries. Ansja Ferreira from PC Bruwer and Partners gives advice on this important topic. What is acceptable in one culture can be shocking or even seen as an insult in another culture. All of us, or most of us will at some time find ourselves in a situation where we have to deal with people from a different culture or who hails from another country, with practices and actions that may be drastically different from our own. This can happen when we travel abroad for business or a holiday, attend social or business functions or events where people from different cultures or countries are present, for example sporting events, tour groups or exchange students / scholars from other countries. In our daily life we can also interact with people from other countries and cultures in the supermarket, museum, shopping mall or theatre. Empower yourself by understanding intercultural differences – especially in terms of etiquette and customs, to recognize and respect people in this manner to strengthen your relationships with people from other cultures and countries. According to Margarita Gokun Silver of the Global Coach Center Academy, who offers intercultural training, one of the best tips when you want to get along with people of different cultures is to observe, to look and listen. “It’s always good to enter a situation with a degree of knowledge, but nothing teach you so well as your own eyes and ears, says Margarita. “Take time to notice how the local people (“locals”) of the particular culture interact with each other and how they act in respect of this interaction, says Margarita. If you do not understand the reaction or interaction, ask a local friend or person you trust. By paying attention to what is happening around you, you will not only learn to communicate effectively, but this will also help you understand how that particular society or culture function, what they approve and disapprove and how you can interact in a respectful manner”, explains Margarita. “Much has been written about how to act in other countries, from clothing, gestures to dining habits, says Charlotte Youens, an etiquette expert and owner of The Smart Touch Etiquette school in Johannesburg. 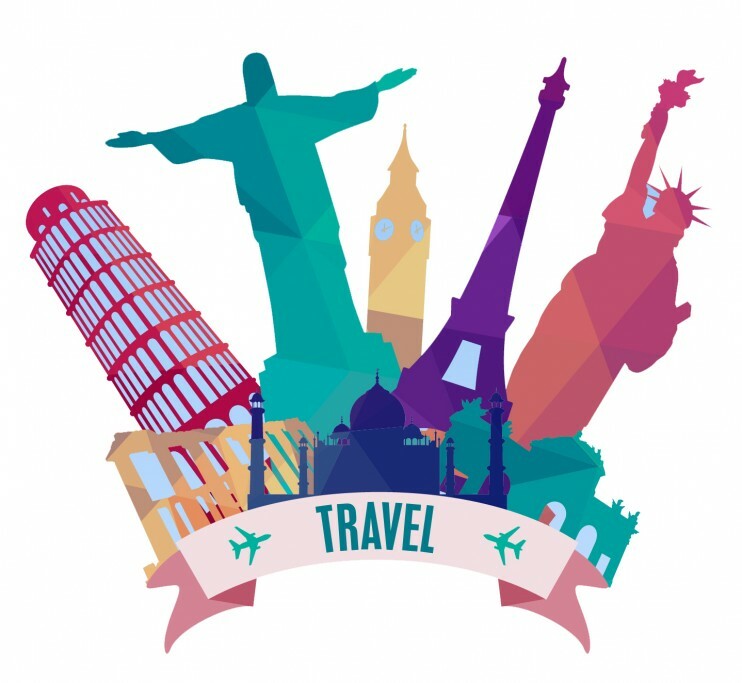 “If you visit a foreign country and will be spending some time in that country, it is important to have a guide with respect to those countries’ cultures and religion systems. However, there are some simple guidelines you can follow in a variety of cultural situations, without offending anyone, she says. “In the first place, you should remove any feeling of xenophobia or cultural superiority from your mind. You must realize that all cultures are different, but not inferior to each other. The words ‘good’ or ‘bad’ should not have a place in the the description of cultural differences. Whether someone else’s culture may be positive or negative, the culture simply is what it is”, says Charlotte. “Regardless of what your hosts or guests do, for example, bow when you give them a handshake or a kiss on both cheeks, it is important to realize that your way is not necessarily better and each new experience that you experience will make you a better global citizen”, says Charlotte. According to Charlotte you should never assume that you are doing someone a favour by accepting their culture. “It is the same as to learn to deal with difficult / different people in your everyday environment and to get along – it’s something you have to do to succeed”. She also recommends that you stay away from discussions about topics such as politics and religion. “Don’t critisize someone else’s governments or religion. With both topics, you will be seen as a fool. If you criticize your own country, people will question your loyalty to your country. And to offend someone due to cultures, government or their belief system, is completely out of bounds”. Gifts: In most countries, a small gift for your host or hostess is appropriate. Example you are invited to visit someone’s home for a social visit or to enjoy a meal. Most gifts should not be personal and should always be wrapped with great care. Try not to use white or black wrapping paper, as it is considered bad luck. Use brightly coloured ribbon. Give a gift that is unique to where you come from. It will be very special and greatly appreciated. Ideas for gifts might include a coffee table book about your country, treats from your home country or any respectful ornaments, which does not reflect religion, politics or something personal. Never give red roses, as it symbolizes romantic intentions. The same goes for carnations symbolize mourning. If you are visiting Germany, and you want to bring wine, it must be an imported French or Italian wine. If you give German wine, it can be seen by the host that you think they can’t serve a good quality wine. Greeting rituals : A more formal handshake, rather than less formal (“Buddy Buddy”) is common in Europe. It is sometimes the custom for women and those of a higher rank to first stretch their hand to greet someone (if they are European). You will rarely use first names after you are introduced to a European and do not assume that you can use their first names when you introduce other people to them. Wait until they ask you to address them by their first names or use the appellation with which you are familiar. Titles, especially academic titles is always used in Europe. Professors, lawyers, doctors and other professionals, are always presented with their titles. Wine or meals: There are so many opportunities for confusion when you eat in different countries, so you should make an effort to have some knowledge before you visit another country. Even if you gather more information, it is still possible to make a mistake. This is where your humble and respectful attitude will apply. Let those around you know that you do not know everything and that you would appreciate it if they correct you if you did something wrong. If you can tell from someone’s facial expression or body language that you did something wrong, address this immediately. “I’m afraid that I might have done something to offend you and I’m sorry.” If someone said these words to you, would you not have forgiven an offensive remark or two?”, asks Charlotte. Social taboos: In many European countries, it is a serious mistake to ask people what they are doing or asking them personal questions as part of a strategy to get a discussion going. Europeans are mostly formal and more reserved about such matters than other Westerners. The general Westerner sign – “OK” – which is formed by making a circle by the index finger and thumb. It is quite offensive in Germany. To keep your hands in your pockets is considered rude. To lightly hit someone friendly on the back (“back-slapping”) is out of place in northern Europe. To put your hands under the table, is considered rude. Meeting times and styles: In general, meetings in the Northern European countries begins promptly and the tone is businesslike, while meetings in the Mediterranean countries (Mediterranean) Europe start and is preceded by a seemingly irrelevant banter. This banter is considered part of the business because it is the best way to get to know your host, and it is a prerequisite for business operations in the Mediterranean countries (and many other places as well).